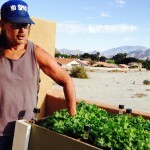 Are you interested in learning how to grow your own food naturally and sustainably? Want a step above WWOOFing? 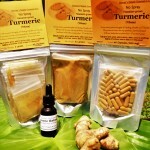 An internship program is now available at No Spray Hawaii! Work with us, Learn from us, Play with us! A win-win for all! Please email us a little about yourself and the dates you are interested in attending. After I graduated from the University of Hawaii at Hilo with my Bachelors of Science degree in agriculture with a focus on sustainability, one professors comment still lingers in my head today. He told the class that currently it is hard to find “real” natural, true organic farmers. Although, many people do know how to grow food, those who truly understand natures processes enough to live in true sustainability with their surroundings are hard to find. He further explained that the current system is not set up to have sustainable, organic farmers profit in any means. Real farmers grow food as a passion for the land, not to make profit. The farmers currently supplying our food are not farmers, merely business men or women trying to make a profit. When asked where do the farmers go, he responded, that they go to their own sanctuary, “lost in the jungle”, away from the society that is destroying the earth. They go where they can take care of as much as they can, and teach as many that are willing to come and listen. We, don’t want to get lost in the jungle per say, although we could easily do as such. We can easily take care of ourselves and our family and friends but we believe that change can happen. That people can become aware and do good things. Our wold is changing and we want to be apart. We want to help the future generation become healthier and take care of our beautiful earth. When the system crashes, there need to be people who understand how to work with nature to provide for ourselves naturally and without the use of synthetic fertilizers or chemicals. We can teach you how to do just that, but also why. We teach through hands-on learning on a one-to-one basis. With all the information available it can hard to discern what is relevant and what is merely trying to sell you a product. Natural farming is a simple and an easy to learn process which makes it easy for people to manipulate and sell you irrelevant products, processes and systems. How you want to learn is up to you…. These were just the ways we have came up with! 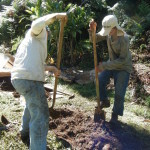 Don’t want to pay and still want to WWOOF in Hawaii? Have you ever considered WWOOFing. Our farm’s name is No Spray! 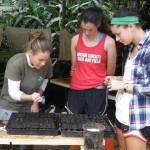 Look for us on the WWOOF Hawaii site and WWOOF USA! The No Spray WWOOF experience is a lot less personal attention and guidence. You’ll learn, but not nearly as much! But you are guaranteed to have a good agriculture Hawaiian Experience either way!